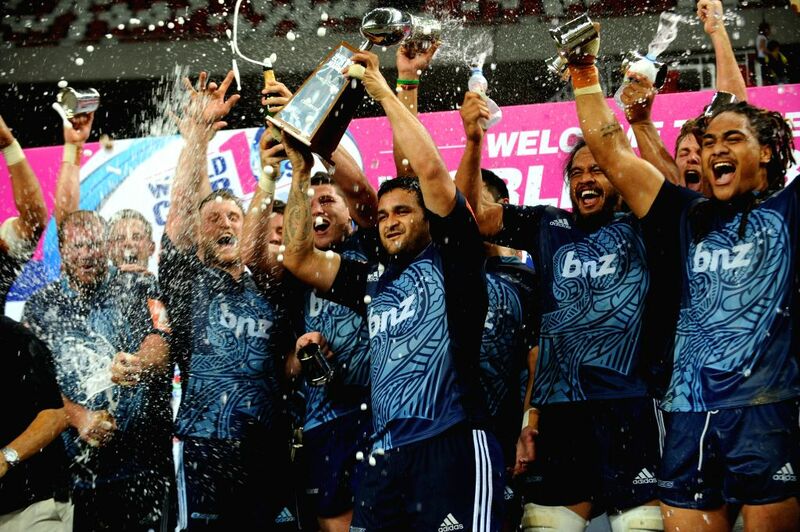 SINGAPORE, June 22, 2014 - New Zealand's The Blues' players celebrate their victory in the final of the Rugby World Club 10s held in Singapore's National Stadium on June 22, 2014. New Zealand's The Blues claimed the champion after won the final match against Australia's Brumbies with a score of 10 to 5. 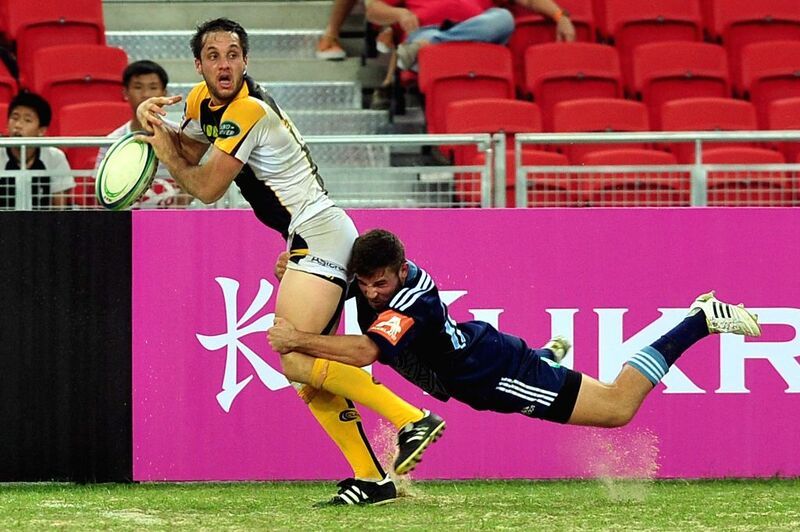 New Zealand's The Blues' player Mitchell Hunt (R) tackles Australia's Brumbies' player Conrad Hoffmann during the final of the Rugby World Club 10s held in Singapore's National Stadium on June 22, 2014.